Thai Style Fish Cakes and Battered Fish Bits | Gourmet from the galley! At an anchorage called “Hole in the Wall” at Jervis Bay, we could catch nothing but these voracious little leatherjackets which kept devouring our bait, hooks, sinkers and squid jags. In the end we decided to eat them! Razor sharp teeth of the leatherjackets! Firstly for lunch I made Thai Style Fish Cakes by blending up the fish with garlic, onion, red curry paste, left-over tin corn and a little corn flour. The result was yummy and I served them with soy and sweet chilli sauce. 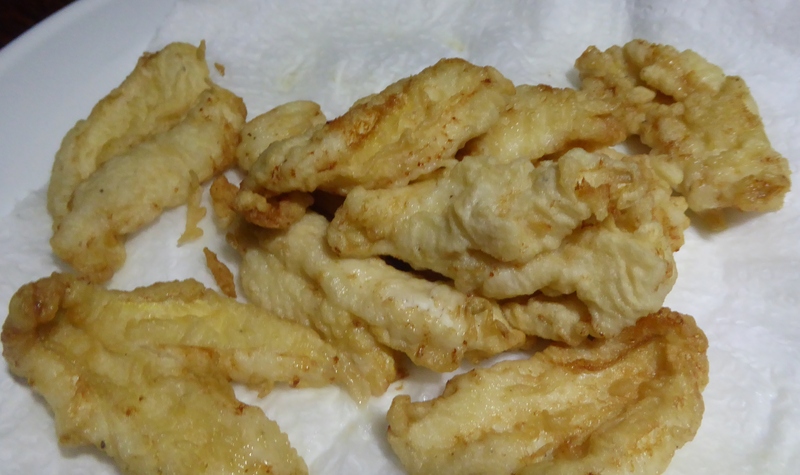 For dinner I made a batter and deep-fried the small fish fillets.